Nice 3d wave!! A good way to make watersurface. Maybe a bit more variation to the waves? Could you post this script as well? Keep up the good work! ps. I could try to translate this to japanese but I don't think that it'll look good. 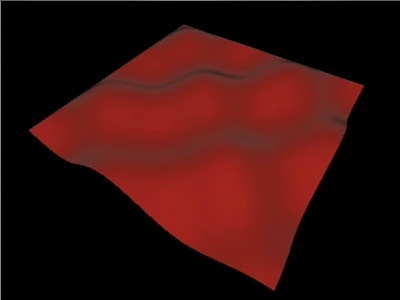 Of course, I plan to post this script after adding several variations to waves for making more natural waves. but, it needs time, I think. p.s. As you think, the translated lines are funny a bit. But not so bad to understand. Thanks, could you also tell me how you did the caustics? I tried it with the relief object but it didn't look so good. Please take your time with scripting!! I'll check back often here!